We believe in every member ministry (Ephesians 4:12, 16). We have a number of ministries that serve both the church and the community. We are constantly looking for new ways to serve and new ministries to meet the needs of our city. Through out the year we are involved in multiple service projects and acts of service. 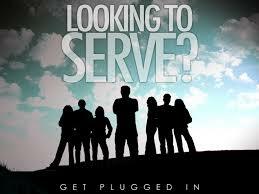 We believe that we are all servants and should be looking for ways to serve individually. In addition to this we have ministries that we are involved in together on a continual basis. Here you will find those ministries and what they are about. Come be a part.